Most noticeable about Pastor Peter Greenidge is his passion for winning lost souls and his love for God and people. At the age of seventeen in his homeland Grenada, Pastor Greenidge became a follower of the Lord Jesus Christ. Subsequently, he recognized the call of God upon his life for vocational ministry. In 1973, he enrolled at Jamaica Bible College where he majored in Biblical and Pastoral Ministries for four years. On completion, he returned to Grenada and served with the Berean Bible Churches where he pastored the Westerhall Berean Bible Church for eleven years. During that time, he was also actively involved in youth camps, evangelism and taught at the local Bible institute. In 1984, he migrated to the USA where he pastored at the Light House Baptist Church in Brooklyn, New York. There, he worked relentlessly with inner city youths and collaborated with other pastors for community transformation. In 2001, he relocated to Sarasota, Florida where he served at Sarasota Baptist Church as Director over the widow’s ministry and chaplain of the Sarasota Military Academy. For five years, he was the Senior Pastor of Bethesda Word of Faith Church and Director of Bethesda Outreach Ministries where he was also heavily involved in the community and in reaching the lost. At present, he is the Executive Pastor of Light of the World International Church. He believes that educational advancement is important and is currently enrolled at Bible Baptist Seminary in their Masters Degree program. Through his vision and leadership, he is actively preparing a generation of leaders who are destined to change the world for the glory of God. 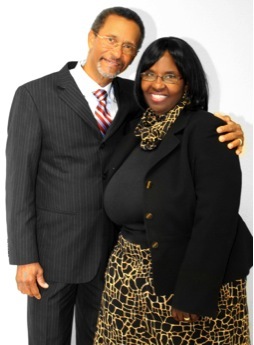 Pastor Greenidge has been married to his wife Pamela, whom he loves and cherishes, for over 28 years. They are blessed with three wonderful children: Pernell, Petra, and Priscilla.